How would you like to command just how much you’re able to earn online? It is, and it’s possible. You’re not a charity organisation. You run a business. So the last thing is to feel guilty because you’re asking for money, regardless of how much. Likewise, you’re not out to rip people off. A business doesn’t exist without some form of value exchange. It’s a give and take thing. Now you’re probably at a crossroads of knowing exactly what kind of value you can give online. Being a digital landscape, you’ll need to determine a way you can actually give value without trying to be at different places at once. So you’ve made a good decision by reading this second part of the series. Note that this is not a hypey, “sell this product and make a million dollars overnight” article. You’re about to get your hands busy drilling down to define that value you want to give. 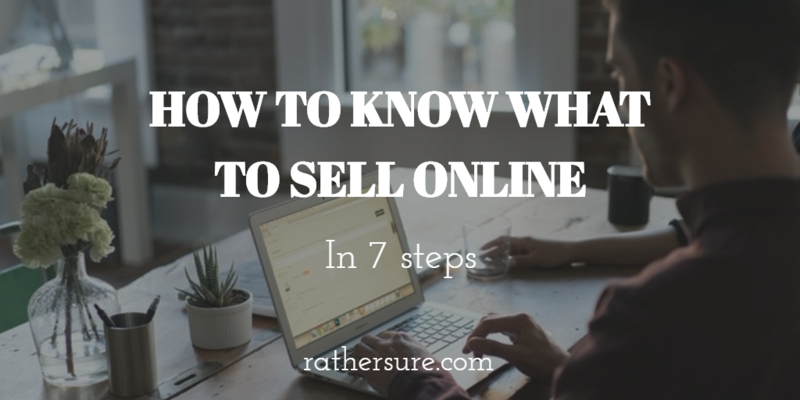 There are 7 different steps on this list to help you find out what you should be selling, especially if you’re just getting started. To really utilize this post, there’s also a worksheet to help you with the research and implementation. The following 7 steps are pretty simple and straightforward. I know this is sometimes one of the hardest things to do, but you have to do it. That question, “what do you do?” can be so annoying because it’s sometimes hard to answer. However, going back to the beginning and using myself as an example, basically I love to write. That was what I did before I heard of freelance writing. What do you do in plain words? Do you write, edit, draw, make clothes, think up ideas, dance, sing, take care of people’s pets, teach elementary kids, code for fun, give unsolicited advice, probe people about their problems, and so on? Simply use this format: I love to ___________. The list is endless. Your task here is to state it in basic terms. Don’t overthink it. Online, you can either sell services or products. You can offer your abilities and expertise to clients in exchange for your time (services) or you can create something that can be sold without directly exchanging your time for every sale (product). Yes, ads actually fall into the product category because your site is the product. However, you need to have a ton of traffic before your ads will really generate maximum returns for you. But with the rise of ad blocking software and the growing number of people who use them, it’s not a viable business model that I’ll advice anyone to use. All you need to do at this stage is to understand how these two models work. Once you’re done, go on to the next step. By find, I don’t mean visit their houses. Just research them both online and offline. This is where we get very practical. Know their names, look at what they do and how they do it. When I started reading up on how to earn online from writing and what freelance writing was all about, the first person I found doing it online was Bamidele Onibalusi. So I followed him. I read and applied the tips he taught on his blog. The people you find may not have blogs, and that’s okay. The goal is to see how they earn from what they do. Now you’re not just looking for anybody who calls themselves an expert. You’re looking for people who already have some results. Such people actually express these results in blog posts or other content they create. Fill in their names, their website if they have one, and what they do to make money, as you can see in the image. Let’s assume you’re a pretty good artist. You love drawing, you have some good Photoshop skills and you’d like to see just how well you could build a digital design business from this. 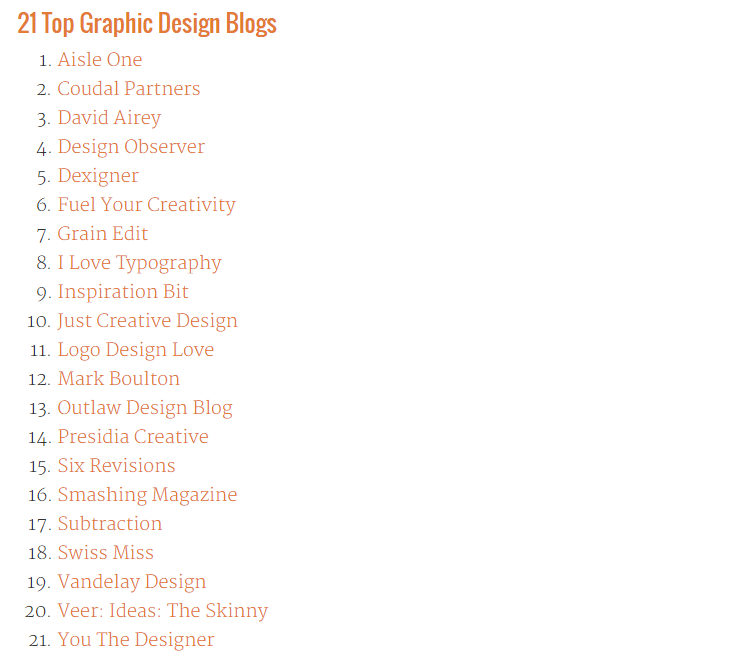 Do a simple search in Google for a term like “top graphic design blogs”. Other terms you could use include “design influencers”, “earn a living online with graphic design”, “graphic designer website”. 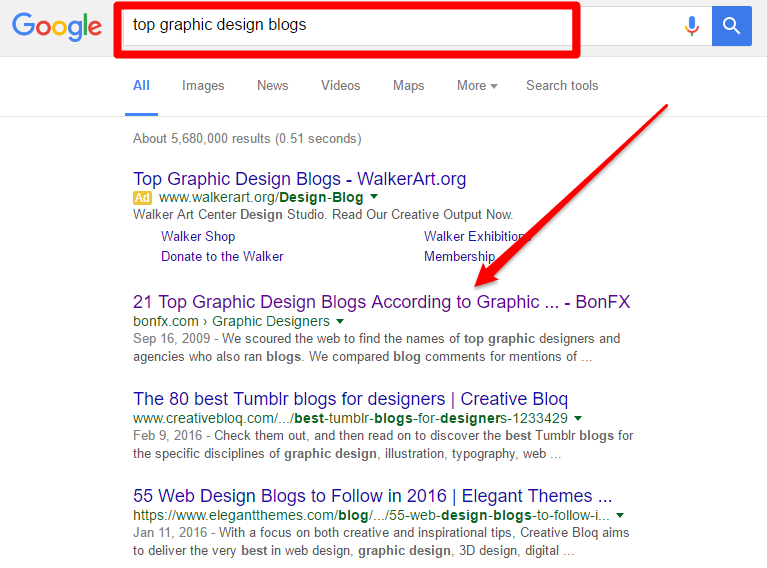 Now visit the links in the search results. The first organic search result above has a list of 21 websites. That’s a good resource to start from. From his list, I visited David Airey’s website. And from what I can see on his site, he already earns a living offering graphic design services and writing books too. Now do that for your own interests. This step is crucial because it will guide you in choosing your own path. You may discover that some of these people earn through both services and products. It really doesn’t matter. What matters is that you’re able to recognize it. That’s why it was important for you to understand the two concepts in step 2 above. For example, Jeff Goins, Brian Clark and Mary Jaksch are all writers. But Jeff is not a freelance writer like Mary. He sells books (products) and training courses (products). Mary is a freelance writer (services), and she also sells books and courses (products). Brian Clark, like Jeff, doesn’t offer services. He used writing to build an 8 figure company and sells software (product) and training courses (product). So you’ll want to select the appropriate category from the dropdown at in the worksheet. Select either product, service or product and service. Which one would help me further my cause? Which one would help get my voice heard? Is it writing books? Which one fits into the lifestyle I want? Is it selling training? Which one would help me make the kind of money I want? Which one would enable me help more people? Your answer doesn’t have to be one specific kind of business. You can also start with one model and transcend to another one a few years down the line. Yours could be an intersection of offerings from different people on your list. 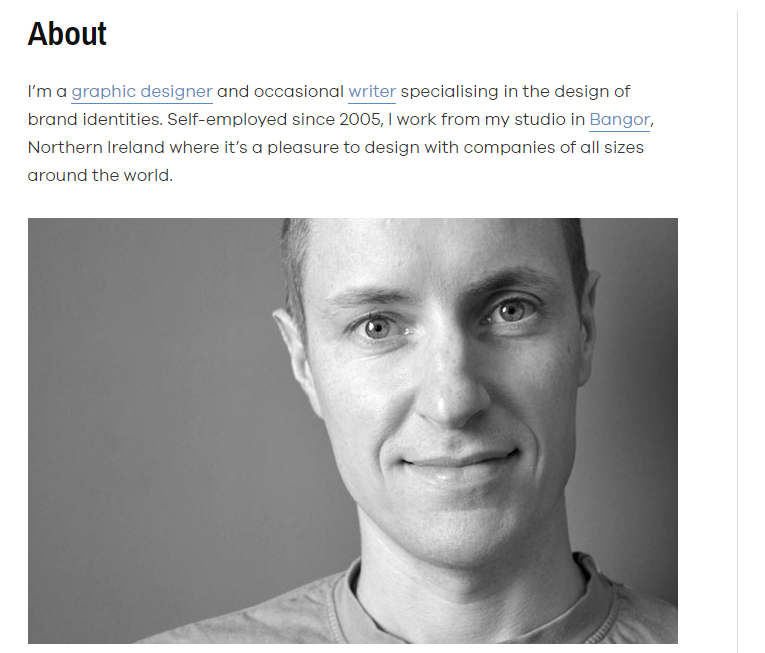 For example, you may like to offer freelance website design services like Paul Jarvis. And you may also want to build software like Brian Clark, especially if you have interests that cut across design (programming) and writing. If what you eventually choose is to offer freelance design services as well as build a software you can sell, you may think it to be an awkward decision. But it’s not. Laura Roeder of MeetEdjar for example started off selling freelance design services. She then moved on to social media consulting before building MeetEdjar (with some help). So be free to think. Very important! You cannot afford to skip this step, because if you do, you could spend a long time beating around the bush. You want to receive first hand guidance on how to follow that path you just defined. If you’re able to identify one person in your list who already does and is on a path you’re interested in, connect with that person by subscribing to his blog (if he has one), sending an email, connecting on social media, sharing his blog posts, making comments, replying his emails, or purchasing one of his products if he has one. You can do one or all of the above. But don’t be intrusive. You don’t want to go visiting their home unless you’re invited. Whether it’s from the content they write, the books they sell, or other knowledge sources, start learning what it takes to get started. An easy way to do this would be to ask. Since you’d have already connected with them, shoot them an email asking them to show you specific resources that actually helped them. Or if they have any tips on how you could really do what they do. I’ve followed Paul Jarvis for a long time (I sell web design services duh), but at the same time, Paul had some really awesome writing skills. So I shot him an email asking how he’s able to get published on top sites. “Write, write more, and then write some more :)”. These mentors are humans. They’ll connect with you once you show sincerity in your actions. But don’t spend too long on this. You only need to know the basics to get started, or you’ll be plagued with analysis paralysis. And it’s pretty easy to. As already discussed in this post, briefly state what you love to do. Then understand the two types of offers you can make online and then find those people who are already doing what you want to do. And finally, don’t rest until you start a conversation with them. They’re human like you. This article is the second in a series of posts on the 3 Simple Steps To Earning A Living From Your Skills Online. Learn the different marketing methods you can use in the next post. I have really learnt something. Keep it up Lanre. Thanks for your comment. I’m glad you learned something new :).